Our vision for the metaverse is a decentralized network of virtual worlds created and controlled by users. 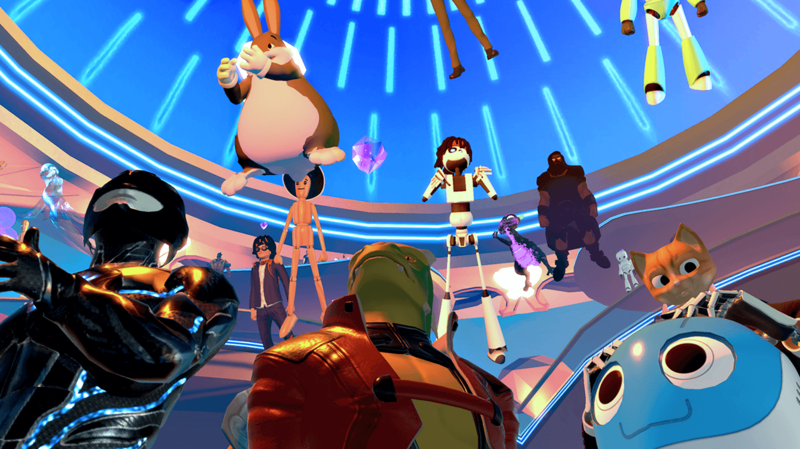 In our metaverse, you get unlimited opportunities to grow, build and explore worlds. The High Fidelity metaverse enables you to create unlimited space and interconnect servers to grow and the ability to experience virtual reality together, in real time. The design of High Fidelity allows unlimited worlds with virtual experiences that feel real. Create the space you want and be a part of building a bigger, more expansive metaverse. Create that space you want. The design of High Fidelity allows domains (a virtual world or environment) to be of any size, with their internal regions partitioned to be serviced by many different servers, each with the capacity that we have been load testing. As you move around domains you will be switched from server to server, and those servers can be nested together into an architecture. You will experience the metaverse in real-time with other users, with distant sounds, people, or objects to be approximated by servers at higher layers in the tree. We allow many different people and institutions to deploy virtual world servers, interconnecting those servers so that you and digital objects can travel among them, and harnessing shared computing devices to scale content and load. Play music in your virtual space. A complete environment that will replace all the content in your Sandbox domain. A shy, anxious looking monster avatar. These beautiful wings can be attached to any avatar. This detailed, photorealistic avatar was created using a real model. This skybox shows the Earth, the moon and the Sun from a vantage point in space. Send out cables to latch onto and pull you towards distant objects. Join High Fidelity now to start building your virtual space. Be anywhere, with anyone right now.